France and Paris Saint-Germain star Kylian Mbappe is happy to be behind Pele in the World Cup record books. 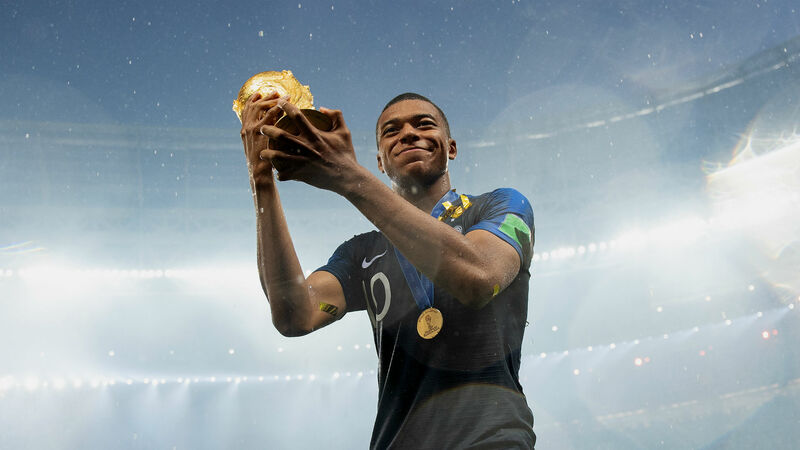 Mbappe, then 19, became the second youngest player to score in a World Cup final when he struck in France's win over Croatia in last year's decider. Pele is the youngest and the pair are the only teenagers to have netted in a decider at the showpiece tournament. Mbappe has no problems being second to Pele, who is widely regarded as one of the greatest players ever. "For a record, you have to be the first, but I am behind him and that's not a problem, I am happy. It was fantastic," he said on Tuesday. With Kylian Mbappe hitting 30 caps, how does he compare in age & goals? "Before the final, I knew that I could have this opportunity and make history with him. "With the French national team, we did something huge. We did it for our country. There is nothing more important, I always said it. "It is very important to defend your nation on the pitch. And make history with France, it was a big dream."